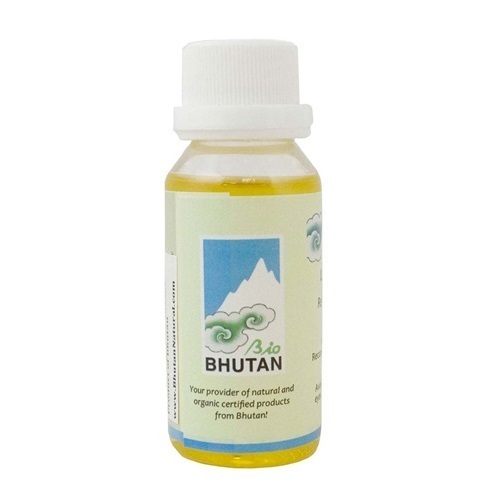 Bhutanese lemongrass oil is characterized by a beautiful flowery scent. We use the pure essence and the lemongrass airspray to purify and refresh our homes. Lemongrass (Cymbopogon flexuosus) flourishes as natural undergrowth of pine trees of Eastern Bhutan. Farmer groups engage in the collection of lemongrass and distill a high value essential oil. Our oil is certified according to the requirements of the EU for organic wild collection. Certificate No. 120207 issued by IMO Control Private Limited.